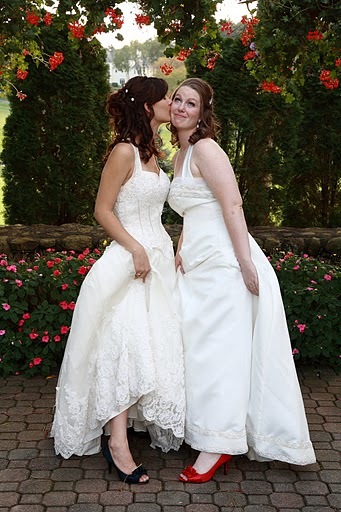 Samantha and I met in September 2009 when my college roommate introduced us; we were perfect together. We moved into an apartment after dating for a few months and lived quite blissfully for the 3 or 4 months following. Sometime in my second semester at college I realized that I was way off track with where I was heading as far as my education. I was at one of the best music schools in the country and I just didn’t feel all that great about it; and considering the tuition costs, I needed to feel great about it. In 2010, Sam and I spent a great deal of time discussing our priorities and what we could do to stay together while still being productive with our lives. It was a tough few months. I looked into attending a U.S. college, but not being able to apply for both U.S. and Canadian student loans or get a job made tuition impossibly expensive—even with scholarships. We considered a long distance relationship, but neither of us was happy or functioned at our best when the other wasn’t there. We aren’t just lovers, we are best friends, and neither of us would be whole without the other. We looked into other options, but Canada won out. We had to leave; there was no other way. Because of the Defense of Marriage Act, U.S. immigration law provided no recognition of our relationship—it would give me nothing more than a student visa, bar me from working and keep us in an indefinite state of instability and poverty. The most difficult part of our decision was that it forced us to leave Samantha’s father. He took a horrendous fall a year ago and has been in and out of the hospital ever since. When we told him we were moving to Canada he was sad, but told us it would break his heart to see us apart. Sam spent the summer in Canada with me. Once we qualified as common-law partners we could begin the immigration process; so we planned on returning to Boston for four more months in the fall before moving to Canada for good. We stayed with my parents in Alberta until the end of June and made a quick stop in British Columbia before returning to Boston. When we crossed the border I had to surrender my student visa because I was no longer planning to attend school in the States. After visiting Samantha’s father in the hospital (he had pneumonia for the second time that year) we drove back to Canada so I could work at a job I had committed to in January. Border control asked us A LOT of questions that trip. The officer asked Samantha what she planned on doing in Canada three times and even asked—aware that we were going to be in the country for 2 months—why we were bringing clothes with us. We were terrified that Canadian customs would not let Samantha cross the border, but ultimately they did. Despite our experience at customs we had a great summer. I worked and studied to get into college (again) and Samantha studied and worked on her music. We talked a lot about exactly where we were going to settle down and what programs we should apply for and how many kids we were going to have and when we were going to have them and then, realizing we had planned out a whole life together, decided to get married. We knew we wanted to get married on September 22nd (the day we started dating), but we hadn’t really planned on it for another few years. When Sam asked, while I was brushing my teeth no less, “Do you want to get married on September 22nd?” I said “yes” since she’d already asked me the question before. However, she quickly added “2010” which changed things a little. Of course I accepted and we began planning our wedding ceremony with four weeks notice. Being 19 years old and not having a lot of money or time we opted for a backyard BBQ. My parents, bless them a thousand times over, knew I wanted more and offered to help pay for the wedding. By the time we needed to head back to Boston we had a date, a venue, food, our best man, a maid of honor, and one of two wedding dresses. We were beyond excited and in high spirits. Then we got to the border. I work hard, I do well in school, I am kind to strangers, and I am respectful of everyone’s beliefs—even those that conflict with my own sexual orientation—but I wish that on the day we crossed the border I had been capable of telling a little white lie. Instead I told the truth. I told them I was planning on staying until January, that I was taking courses online, and that I was getting married in 3 weeks. Needless to say, the Customs and Border Protection officer was not happy. I cried when one officer told me I might not be able to enter even for my own wedding. I could not for the life of me understand why my honesty was costing me so much. Luckily the immigration officer I spoke to in the end was very understanding. They wouldn’t let me stay 4 months, but I had until the end of November. I was given a visitor’s visa and a warning that there would be serious consequences if I overstayed my exit date. Regardless of those hardships, the wedding was beautiful. Everyone there said it was the most beautiful ceremony they had seen. People told us they had never seen two people happier together; it was perfect. A month later we packed everything up and left for Canada. Samantha and I are submitting our application for Canadian immigration this week. I have applied for an undergrad in Engineering with plans to pursue a PhD in developmental neurology. Sam is studying for entry into the same program to pursue surgery. She will be in Boston for the next month because her father is sick and her Boston family needs her there. I will be staying here because I cannot work in the United States and we have bills to pay. We live in constant fear that the Canadian immigration application will be denied. Luckily we in Canada have the option of re-applying on “compassionate grounds” with low chance of denial, but I will still need to postpone my university entrance date and Samantha will be unable to work or go to school for over a year. I do love Boston—I would have chosen to live there if I could—but I cannot bring myself to live in a country that won’t uphold my right to pursue happiness. When I have my doctorate and U.S. immigration welcomes me with open arms I still won’t live there. Until I can live there as a spouse, sponsored by my beautiful wife, I will not move to the United States. For that to happen the Defense of Marriage Act must be repealed or struck down. It must go or we will not come home. I love my wife more than I have ever loved anything or anyone in my entire life. She makes me laugh and she gives me a purpose. She makes me a better person and she doesn’t put up with my crap. She is flawed just like everyone else in this world is flawed, but because of who I am that makes her perfect for me. This isn’t some fluffy idea of love that we have—we know that love and marriage (especially gay marriage) has challenges and we are prepared to work hard for the life we want to share together. THAT should be what the government looks at when they are deciding whether a relationship is honest. We both have a lot to give. We are both going to be successful. All I have left to say is that I am sad for America; sad that it has lost and will lose so many wonderful people who could have made it a better place. I too refuse to live in a country that won't give me equal rights. I have been in the Philippines 2 months now and we will be moving to Thailand next month. I am so sick of all the bigots in the U.S. a country that claims to stand for freedom and equality. Until I can return with my partner I will not come back.